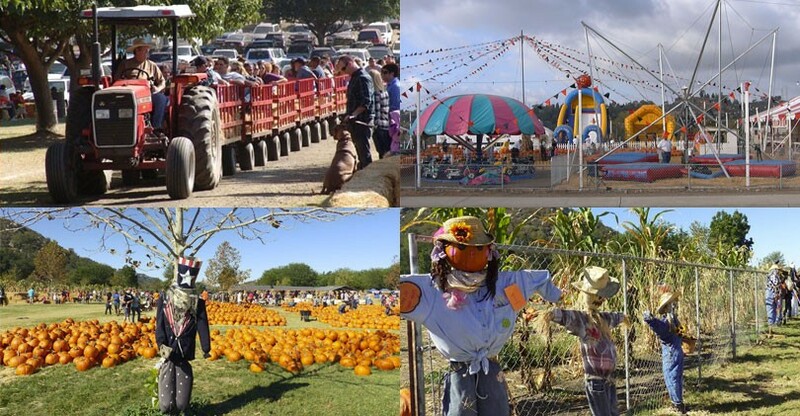 Tis the season for families to head on over to local North County pumpkin patches for their annual pumpkin photoshoot, hayrides, straw mazes, scarecrow contests and of course to pick out some awesome pumpkins. We’ve compiled a list below of Pumpkin Patches in Carlsbad, San Marcos, Escondido, Oceanside, Del Mar, Valley Center, Julian and Fallbrook. If you know of any other nearby North County Pumpkins Patches, let us know at pumpkins@santafehillssanmarcos.com. (Corner of W. San Marcos Blvd and Discovery St). When: Sunday thru Thursday 10 a.m to 9 p.m., Friday and Saturday 10 a.m to 10 p.m.